Is Elite Status Worth the Effort? Just about every airline and major hotel chain offers elite status to loyal guests. Elite status is a classification given to loyalty program members when they’ve reached a threshold by traveling a certain number of miles or making a number of repeat stays. In some cases, flyers must also spend a certain amount of money with the airline or hotel chain. Once you reach this status, you’ll have access to benefits not offered to other travelers including, late check-out, room upgrades, priority booking and boarding, executive lounge access and free checked luggage. Beyond enjoying perks like free checked bags, access to cushy airport lounges and the elusive seat upgrades, elite status sometimes supercharges your points-earning abilities. Elite members rack up points faster per dollar spent or mile flown, compared to regular customers. On American Airlines, AAdvantage Members receive mileage bonuses of 40% up to 120% on each flight, while​ Delta Medallion members receive an additional two to six miles per dollar spent compared to regular customers. But is base-level elite status worth while? Unless you plan on flying a lot of miles or staying more than a month in a hotel every year, it may not be as rewarding as you think. What Do I Get as an Elite Status Member? Specific perks and benefits vary between airlines and hotels, but you can generally expect to receive the following once you reach elite status. Complimentary upgrades: Access to preferred seats, upgraded rooms and fare-class upgrades on the day of your flight. Some airlines offer upgrades to guests or companions flying with you, too. Baggage: Free checked bags and priority baggage handling. Flexibility: Waived fees for ticket changes, same-day flight changes and the ability to fly standby. Travel assistance: Access to exclusive customer service phone lines. 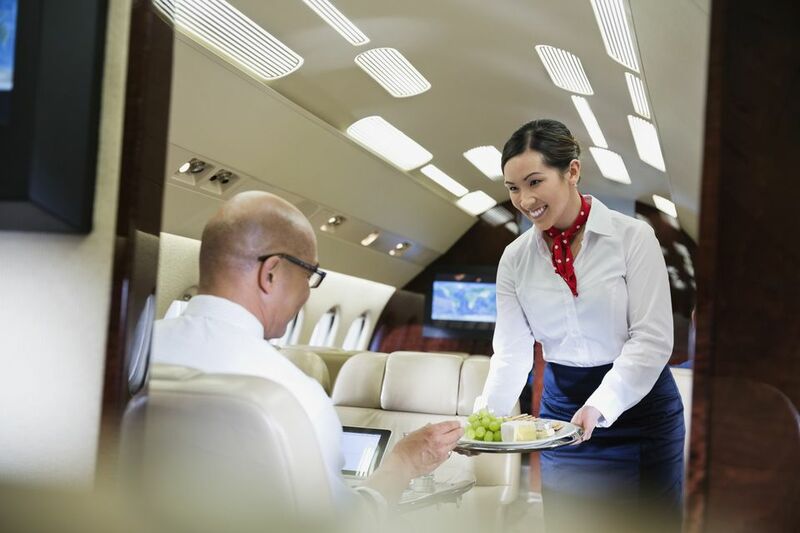 Top-tier Elite members may also enjoy gate-to-gate connection assistance and concierge services at their destinations. Better earning potential: Earn points faster than regular customers. Crossover benefits: Enjoy Elite Status perks at partner facilities like hotels and car rental agencies. Lounge access: Free beverages and snacks in comfortable lounges with workspaces. Hotel perks: Elite members of hotel programs (like Starwood Preferred Guest) can expect late check-out, welcome gifts, room upgrades, complimentary access to executive levels and health clubs as well as guaranteed room availability when booking at least a few days in advance. Airline and hotel programs typically have a minimum spend or flight requirement within a calendar year. Once you’ve reached the predetermined number of points or miles and spending, you’ll be bumped up to the next tier. After reaching the status level, your elite status will go into effect immediately and stay valid through the next calendar year. Most programs have three or four-tiered structures, allowing you to enjoy better rewards and more earning power as you fly and stay more. Most airlines have two ways to reach elite status: status through elite qualifying miles, or status through elite qualifying segments. Elite Qualifying Miles (EQMs) represent miles earned based on the distance flown, while Elite Qualifying Segments (EQS) represent miles earned for the number of flights taken. For example: Flyer A earns one EQS and 8,000 EQMs for traveling from New York City to Hong Kong. Flyer B taking two 4,000-mile flights from New York to Berlin earns the same total amount of EQMs (8,000), but gets two EQS credits — one for each flight. Airlines typically allow customers to earn elite status by flying a minimum number of EQS credits or EQMs. This means that frequent short-haul business travelers can reach elite status just as quickly as occasional long-haul travelers. However, no passenger is exempt from Elite Qualifying Dollar (EQD) requirements, which force a passenger to spend a certain amount of money on base fares (before taxes) and qualifying upgrades to move up the cabin. What do I get for low-tier loyalty status? ​Earned after flying 25,000 EQMs or 30 EQS and spending $3,000 EQDs. Complimentary auto-requested upgrades on flights 500 miles or less. 40 percent elite mileage bonus on award miles. 50 percent discount on Main Cabin Extra seats. Earned after flying 25,000 EQMs or 30 EQS and spending $3,000 EQDs or earning a MQD waiver through credit card spending. Seven award miles per dollar spent on qualifying Delta airfare. Unlimited rollover Medallion Qualifying Miles. Unlimited upgrade requests on Delta and Aeromexico flights starting 24 hours prior to departure. Complimentary Delta Comfort+ seat access on paid fares (not E fares) or complimentary preferred seats. ​Earned after flying 25 one-way qualifying flights or earning 35,000 tier qualifying points. Priority boarding with the best available boarding pass at check-in. 25 percent Rapid Rewards points earning bonus. Free same-day standby (when available). Priority check-in and security lane access. Dedicated A-List member phone line for booking. Earned after flying 25,000 EQMs or 30 EQS and spending $3,000 EQDs. Seven award miles per dollar spent on base airfare. Minimum 500 EQMs per flight. Complimentary access to Economy Plus seats at check-in. Instant upgrades on full-fare tickets (Y- or B-class tickets). Priority check-in, security lines, boarding and baggage handling. ​Earned after 10 nights, 7 qualifying stays, earning 10,000 points, or with the Best Western Rewards MasterCard. 10 percent bonus points per stay. Room upgrades at check-in when available. Choice of "Thank You" gift or bonus points upon arrival. ​Earned after staying 10 nights (reward nights count towards status), or with the Choice Privileges Visa Signature Card. 10 percent elite point bonus. Book reward nights up to 100 days in advance. Choice of "Thank You" gift or bonus points upon arrival at U.S. and Canadian hotels. ​Earned after staying 10 nights, four qualifying stays, or with the Hilton Honors American Express Card. Earn 12 points per $1 spent on stays. Fifth night free when booking a reward stay of five or more nights. Digital check-in and select your own room at select hotels (where available). Elite rollover nights every year. ​Earned after staying 10 nights, booking 3 qualifying meetings or events, earning 25,000 base points, or with the World of Hyatt Credit Card. 10 percent bonus points when choosing points. Complimentary premium internet where available. Resort fees waived on free night awards. Daily complimentary bottle of water. Late check out upon request at participating hotels. Room upgrade based on availability upon arrival. ​Earned after staying 10 qualifying nights, earning 10,000 elite qualifying points, or with the IHG Rewards Club Traveler MasterCard. 10 percent bonus points on each stay. Elite members' points don't expire. Priority check-in and extended check-out where available. One free Amazon Kindle eBook per quarter. ​Earned after staying 10 qualifying nights or with the Marriott Rewards Premier Plus credit card. 20 percent bonus points on each stay. Free standard in-room internet access. Priority late checkout (where available). ​Earned after staying 5 nights or with the no annual fee Wyndham Rewards Visa Card. Dedicated member services phone line. Preferred room upgrades (where available). Late checkout upon request when available. Credit-card spending has long been associated with travel bonuses and status perks are no exception. All major airlines also offer elite credit cards that comes with many of the premium benefits that come with low-level elite qualifying status. For example, the United Airlines’ MileagePlus Club Card offers United Club membership, granting flyers access to United lounges at any airport (excluding United Polaris loungers). Flyers may also access affiliated airport lounges and free checked bags. After reaching elite status, using the airline credit card can also help you earn points and miles faster for every dollar spent. If you are a casual traveler who isn't loyal to one airline or hotel, holding a credit card with your favorite brands could be better than earning low-tier elite status. While most airline credit cards and some hotel credit cards come with an annual fee, they also allow travelers to take advantage of the most important benefits. The airline credit cards allow cardholders to earn bonus points and receive one free checked bag, while hotel credit cards grant low-tier elite status which come with points bonuses and late checkout. If you have good credit, paying the annual fee to get nearly every benefit but upgrades could be cheaper than meeting the spending thresholds and the travel in a calendar year. If you want to reach elite status sooner, be strategic in how you book flights and collect miles. Airlines usually offer more miles for booking flexible fares or seats in higher classes. Although these tickets will cost you more, they could get you across the threshold into elite territory faster. You may also want to plan your flights so that you accrue enough qualifying segments or miles before the current calendar year ends. In some situations, airlines may offer flyers who are close to their next status a challenge to fast-track forward, or the option to buy enough miles to get to their next status tier. Before making a "status run," it's always important to check whether you’re closer to reaching status via EQMs or by EQS, as this may change the type of trip you take.